The Stock Market Blog keeps you up-to-date with all additions and changes to the all-about-stockmarket.com Web site. 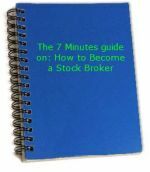 Continue reading "Become Stock Broker"
Continue reading "All about stock market"
Continue reading "American Stock Exchange"
Continue reading "Advantages of stocks"
Continue reading "Become A Stock Broker"
Continue reading "Online Stock Brokers"
Continue reading "Online Stock trading"
Looking for an online stock broker? Continue reading "Online Stock Broker"
Continue reading "Investing In Stocks"